Welcome to the epicenter of beauty and elegance, where style meets service, and inspiration is abundant. 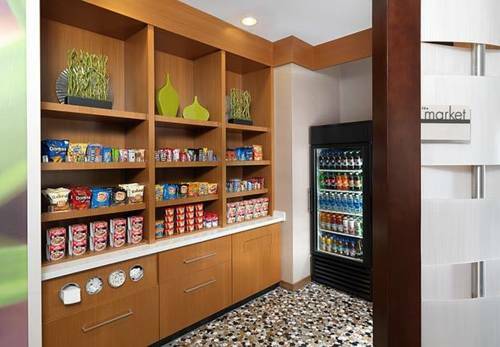 Welcome friends to the SpringHill Suites by Marriott Houston Westchase. As the newest hotel in the vibrant and active Westchase District of Houston, SpringHill Suites by Marriott is positioned to fulfill and exceed all of your traveling needs. Recharge in any of our spacious suites, complete that work assignment in the living area of your room or our inspiring lobby with our state of the art fiber optic high speed internet, challenge your lifestyle goals in our expansive fitness room, or enjoy a blissful day's end at our full service bar and bistro. Springhill Suites Houston Westchase is favorably located to several industry leaders like Jacobs Engineering, CGG, Emerson, Halliburton, BMC Software, Schlumberger, NOV, Phillips 66, Honeywell, Chevron, and more. We are also near several excited venues such as Town and Country, City Centre, Memorial City Mall, Chinatown, and the Galleria of Houston. Open Mon-Fri 5pm-10pm Closed weekends and during Holiday periods. Please check with the Front Desk for more info.